Home > Events Calendar Home > Children > Wild Wednesdays! An interactive program designed for children of all ages! 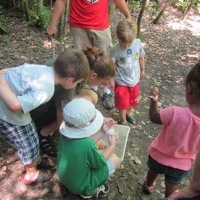 Explore Beaver Lake with a Naturalist and take part in wild and fun activities! Perfect for pre-school age and up, accompanied by an adult.